Austin, TX is a city known for its vibrant culture, live music and thriving tech industry. The Austin real estate market continues to attract greater numbers of global investors, in part due to growing demand for luxury homes. Robust growth of commercial real estate markets in Austin has made the city a hub for international investors seeking opportunities that will provide superior returns. 2015 saw unprecedented levels of interest from foreign and international investors seeking the most lucrative and rewarding investment opportunities. Real estate investors are eyeing the Austin market. Economic forecasts for 2016 continue to predict strong growth within both commercial and residential real estate markets. Developers, like Gables Residential and Trammell Crow Co. have expressed a great deal of confidence in the local real estate market. Austin offers numerous investment opportunities ranging from shared urban commercial and residential developments to conventional industrial opportunities. Although Austin never really established a reputation as a transition or distribution hub, warehouses and shipping and delivery infrastructure continues to keep pace with the city’s recent population boom. While Austin real estate forecasts for 2016 are a bit more cautious than previous years, market growth is expected to continue without significant interruption for the foreseeable future. Last year, Forbes magazine ranked Austin as the number one growing city for investment opportunities. Such recognition is due in part to growing demand and widespread development of urban and downtown housing. Downtown residential space, luxury condominiums and growing demand for mixed residential and commercial space has created numerous opportunities that investors would do well to consider. Exposure from international festivals, such as the South by Southwest Conference, have allowed Austin to capture the attention of global investors in greater numbers than ever before. In 2015, The State of Texas led the nation in new home construction. Global real estate investors who have concerns about potential market volatility continue to turn to the Lone Star State in order to find opportunities that provide a greater degree of security. Recent events, such as the sub-prime lending crisis and real-estate bubble highlight the importance of selecting local markets that will provide superior resiliency during periods of instability and uncertainty. 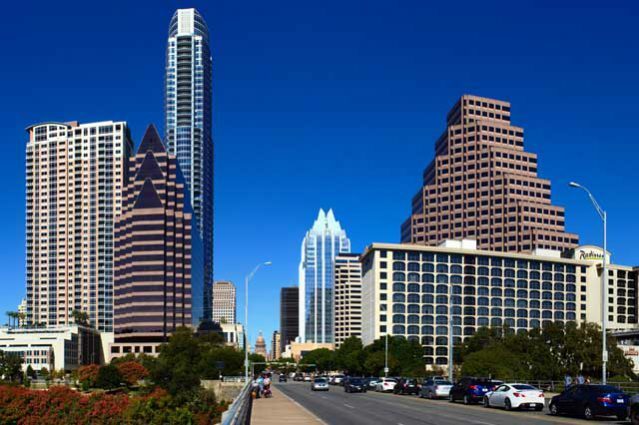 Austin’s ongoing population boom and growing regional economy make it an ideal choice for foreign investors interested in finding the most secure and lucrative properties, developments and opportunities. Investment properties and real estate development projects often require considerable financing. Targeting cities with a proven track record, thriving local economy and numerous investment opportunities can help investors to mitigate many of the most common and costly risks associated with real estate markets. While the State of Texas continues to enjoy robust housing and commercial growth, the Austin real estate market in particular is garnering a great deal of interest among global investors. Growing demand for Central Texas Housing and tech industry leaders like Google, Facebook and AMD that have chosen to take advantage of the city’s booming real estate market make it an ideal choice for global investors seeking to find the best opportunities.